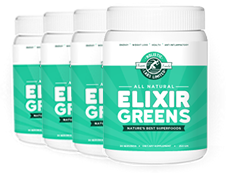 Instantly Alkalize Your Body, Feel Energized The Entire Day, & Boost Your Immune System! 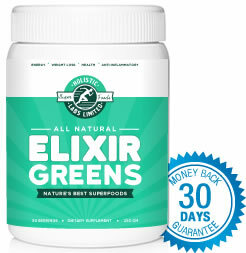 Combines 14 of nature's most nutrient-dense green "superfoods"
Maximize your energy levels with the antioxidant nutrition in Elixir Greens Powder! 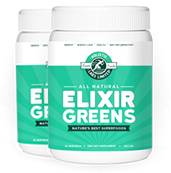 This highly nutritious blend of 14 greens and herbs promotes energy all day long. Just mix with your favorite juice or beverage. Includes spirulina, maca, amla berry, goji berry, cayenne pepper, tumeric, and many more.